If you’ve ever done genealogy for someone from Lauderdale County or even read something written about the history of Lauderdale County chances are that you’ve come across the GLASS surname. I’ve seen it quite a few times in my research and even have some individuals with the GLASS surname in my family tree. While doing a bit of research I came across the will of PT (Presley Thornton) Glass. I was familiar with the name from reading history books written on Ripley and Lauderdale County. PT Glass had been a merchant in Ripley, secretary of Ripley Male Academy, a slave owner, fought for the Confederacy in the Civil War, a lawyer, a member of the Tennessee State legislature, a member of the United States Congress, and he even has his own Wikipedia page complete with a photograph of him. If you’ve ever been to Maplewood Cemetery you might have even seen his grave. In doing my research for another subject I had to do a bit of research on him and that’s when I discovered an interesting tidbit in his will upon his death in 1902. Adjusted for inflation that 5 dollars in 1902 would be worth 135 dollars today. Naturally I wanted to find out more about Prince Glass. According to the 1870 US Census Prince Glass was born about 1852 in Tennessee (I also found his year of birth listed as 1847). His parents were Wallace Glass and Matilda Partee Glass. On the 1870 US Census his occupation is listed as farm laborer. By 1880 Prince had married the former Jennie Fitzpatrick and they soon had children named Eddie, Nellie, Prince Jr, Benj, and Katy. Prince died June 30, 1927 and is buried in Ripley, Tennessee. Prince must have meant something to PT Glass if he left him money when he died. I noticed that PT Glass referred to Prince as his “former slave” instead of laborer, so I am curious to know if Prince worked for PT in some form after slavery or what type of relationship that they had after slavery or even during slavery. 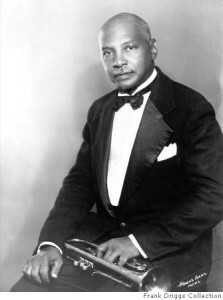 WC Handy, Father of the Blues, made his way to Ripley, Tennessee in 1907 with his band to play for our Confederate Veterans at their annual reunion picnic. According to the story there used to be a park known as Confederate Park not too far from Walker’s Motel on Highway 51. Each year the local Confederate Veterans would gather here and host a barbeque picnic. The entertainment for the picnic varied, but about 1907 they were able to get WC Handy to perform. Handy and his band would go one to perform at several of these picnics in later years. What would he have played at the picnic in 1907 and after? I’m sure he would have played “Mr. Crump aka The Memphis Blues” or “The St. Louis Blues”. He might have also played “Yellow Dog Blues” or “The Beale Street Blues”. It is interesting to note that Handy was the son of former slaves playing at a reunion picnic for Confederate Veterans. Oh the irony! Nevertheless, I am positive he put on a good show and that a good time was had by all. Was Lauderdale County’s most famous Black Confederate Veteran Louis Napoleon Nelson in attendance? I’m sure he was. Today WC Handy is honored in Memphis with a park bearing his name. His Memphis home has been turned into a museum and is appropriately located on Beale Street. Today marks the 150th anniversary of the Emancipation Proclamation which freed slaves in all southern states in rebellion. Many slaves had heard about this law that was to become legal and many stayed up anticipating the moment that they would become free. As I reflect on what this means for slaves in the south I think of my children’s ancestors who were enslaved in Lauderdale County, TN on the plantation of David Gilliland. I think of what they must have been thinking when this date came to pass. I am also very proud of them. Through researching David Gilliland I discovered that all of his slaves had runaway by 1864 when he had written his will. I have since discovered that one of his slaves, Major Gilliland/Gilden/Bates, went on the join the United States Colored Troops to fight against slavery. I like to imagine that on this day they celebrated their independence. I like to imagine that even if they were unable to leave the plantation on this exact date that they knew that they would eventually be free. Here are a few mentions of runaway slaves found in the Memphis Commercial Appeal. I hope that they too eventually got their freedom. I remember watching the Who Do You Think You Are episode featuring Spike Lee. It was discovered that one of Spike Lee’s ancestors worked at a gun factory making guns to supply the Confederacy. Spike spoke of the conflict his ancestor must have had making guns to supply the Confederates who wished to keep his people enslaved. What about those African-Americans who served as soldiers? I wrote about Louis Napoleon Nelson on this blog before. He is perhaps the most known African-American Confederate soldier from the West Tennessee area. He was very proud to have participated as a part of the Confederacy, even attending Confederate reunions in his full uniform. But what about the other African-American Confederate soldiers? Were they just as proud or did they feel conflicted? Below is a list of Confederate soldiers who applied for a Confederate Soldiers Pension while living in Lauderdale County, TN. In the coming weeks I hope to post information on the soldiers who applied for this pension while living in Haywood and Tipton counties as well. James Maclin – Born in Tipton County in 1840; Claimed service with the 7th Tenn Cav Co B; application accepted. Nowell, Smith – Born in Louisiana about 1847; claimed service with the 7th Tenn. Cav. Co. L; application accepted.